Warning: Your website might experience a brief amount of downtime when completing these steps. Depending on how you've set up your domain name, some of these steps might already be completed for you. You'll need to contact your website's hosting company to find your website's IP address. You should get a value from them that looks like 192.168.24.48. 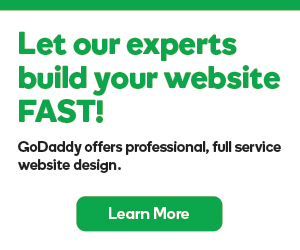 Your domain name needs to point to GoDaddy's nameservers to use Search Engine Visibility automatic publishing. For those instructions, see Set nameservers for domains hosted & registered with GoDaddy. Note: If you set up Search Engine Visibility before changing your domain's nameservers to GoDaddy's, contact customer support. To connect your domain name to your website, you'll need to point your A record to the IP address from your hosting company. In the A (Host) section, locate the record with the Host value @. In the Actions column of that row, click Edit Record. In the Points to field, enter the IP address from your hosting company. Now you're ready to set up your Search Engine Visibility account and use automatic publishing.